With life seemingly more fast paced than ever before, it’s important to find ways we can slow things down and ground ourselves, which is exactly where mindfulness comes in. Mindfulness is all about being in the moment and focusing on exactly what’s in front of you. It’s about seeing, touching and smelling the roses rather than just walking past them. And what better option than gardening to offer up some mindfulness mediation? With the senses being so important in helping you fine-tune your mindfulness skills, we thought the perfect way to create a mindful garden would actually be with a sensory garden. And it’s far easier than you might think to create a garden that’s not only beautiful but therapeutic too. The positives to gardening have no limits. There are loads of emotional benefits as well as physical perks. With more and more studies showing that a strong relationship with nature can help improve mental health by relieving stress and improving mood and well-being, it’s no wonder that more and more people are taking to the garden for a bit of natural meditation. Gardening instinctively draws on all the senses, which is why it’s a great natural therapy for people living with dementia. Read our blog on gardening tips for people with dementia for even more information. The act of gardening in itself is a great way to adopt mindfulness as the very nature of the activity help you to be in the moment and think about what you’re doing rather than the million and one other things on your mind. And with the right sensory garden design, you can extend the benefits by creating your very own meditation retreat to relax in all year around. One of the most important things to consider when creating a sensory garden is what plants you’re going to use. With this in mind, we’ve come up with a list of plants that appeal to the different senses. Make sure to mix and match from the sections here and grow a variety of flowers to create a truly absorbing sensory garden. Delphiniums – enjoy beautiful spears of colour in your flowerbeds all summer long. 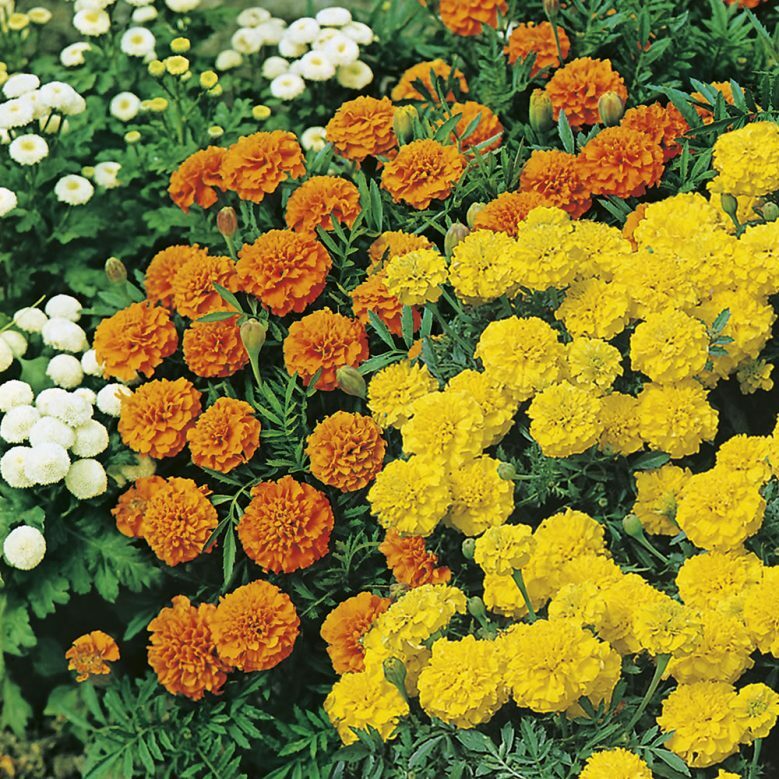 Marigolds – our Orange Boy variety provide particularly vibrant lasting colour. Pansies – try Swiss Giant mixed pansies for beautiful colours that can be used to create a stunning carpet of colour in your borders. Foxgloves – tubular-shaped flowers like foxgloves, snapdragons and honeysuckle are loved by long-tongued bees. Sweetcorn – rustles beautifully in the wind and also tastes great come harvest time. Sage – a fantastic furry texture and of course it smells and tastes great too. Aloe – with soft fleshy leaves and spiky edges, it’s great to touch and is also great for relieving sunburn and insect bites naturally. Rosemary – the herb of remembrance, this is an essential plant for mindfulness gardening and smells great too. Geraniums – a mix of brightly coloured blooms that feel fantastic; perfect for pots and containers. 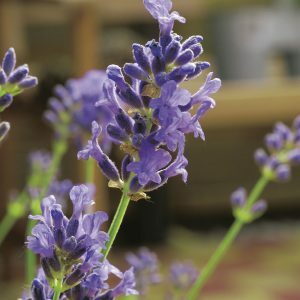 Lavender – the classic scent of a summer garden. Sweet peas – a gorgeous flowering climber that gives off a strong, sweet scent. Thyme – plant along the edges of paths for maximum effect, or if you’re feeling adventurous, how about sowing a thyme lawn instead of traditional grass for a great drought-resistant alternative. There are so many delicious plants that are perfect for every garden, from fruit and veg to herbs and spices. 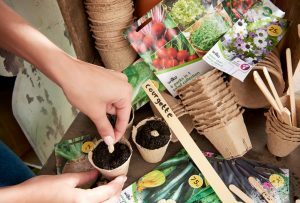 Planting veg seeds can be a great cost-effective way to try growing your own and will very quickly turn your garden into a tasty haven. Coriander – an excellent choice for pots and containers. It’s a quick grower with many uses. Basil – a quick germinator that tastes and smells great. Rocket – regular picking keeps rocket coming back for more, and the deliciously peppery taste is perfect for transforming salads. 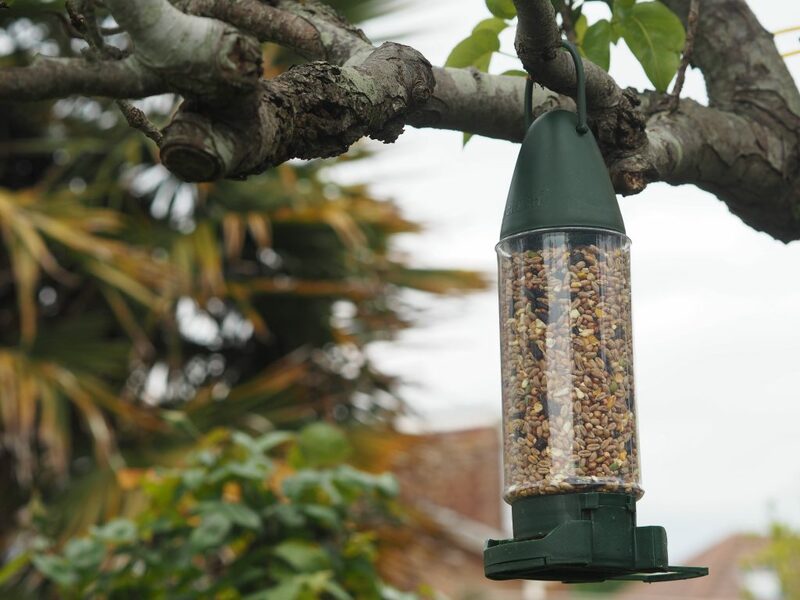 Delight your senses even more by using other garden accessories alongside plants to further add to the different textures, sounds and atmosphere in your sensory garden. 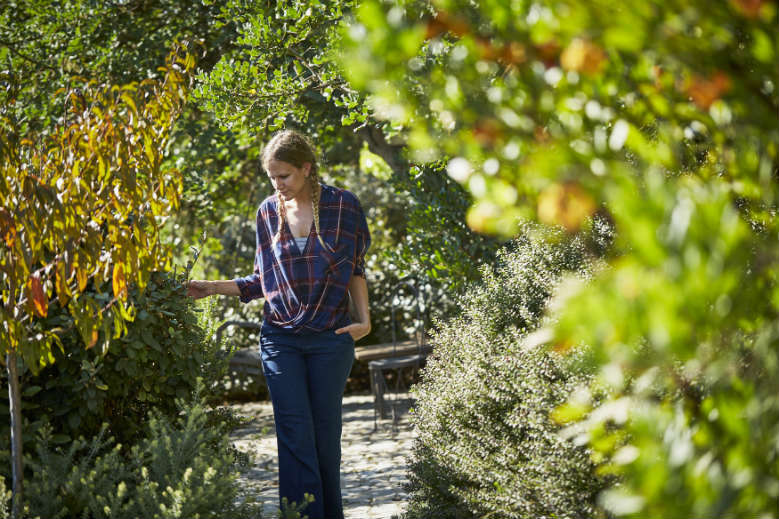 What’s the thing about gardening that most helps you be mindful? Let us know on Facebook, Twitter, Instagram or Pinterest.